I'm fitting some old keyhole covers. I need two screws for each. The hole in the cover is about 3 mm and 4 mm at the top of the opening. I tried buying some 3×12 mm screws but the head is too wide. I can't find out how to know the size of the head of any screws as it's never shown. Is there a ratio or something? Any idea where I can get suitable screws in the UK? Wood screws like most other types of fasteners are made in standard sizes. You can find tables of data online that will show the size information that you are looking for. 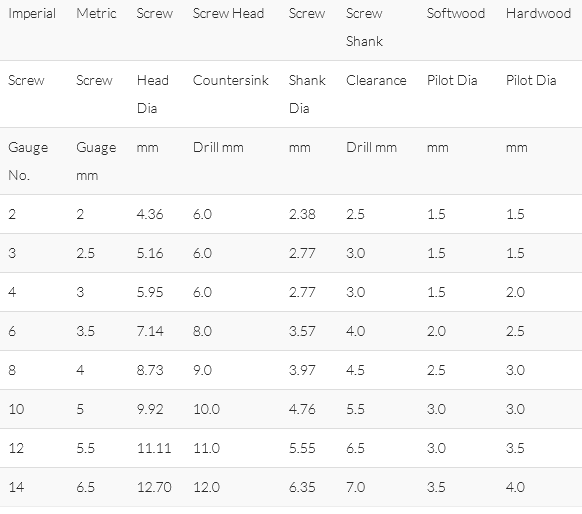 The image below shows one such table that should be able to guide you as to the screw head diameter for various common wood screws.